1981: Another Life premiered on CBN. 1984: Days of our Lives' Howie walked down the aisle as Hope. 1997: Port Charles premiered on ABC. 2007: As the World Turns' Noah arrived in Oakdale. 1964: On Another World, Russ (Joey Trent) admitted to Jim (Leon Janney) that he did not feel smart enough to succeed in school. 1966: On Morning Star, Hank Stover (Warren Remmerling), Bill Riley (Edward Mallory) and Katy Elliott (Elizabeth Perry) turned to Eric Manning (Ron Jackson) for assistance. 1973: Actor Walter Greaza, who played Winston Grimsley for years on The Edge of Night, died at age 76. 1978: On One Life to Live, Paul (Tom Fuccello) and Pat (Jacqueline Courtney) thought about Brian on his 13th birthday. A mourning Tony (Philip MacHale) told Sam (Julie Montgomery) that Brian was his son. Karen (Katherine Glass) found Jim's (Nat Polen) body outside her front door. 1981: Christian Broadcasting Network soap opera Another Life premiered. Co-created by Roy Winsor and Bob Aaron, the show ran for 875 episodes until October 5, 1984. 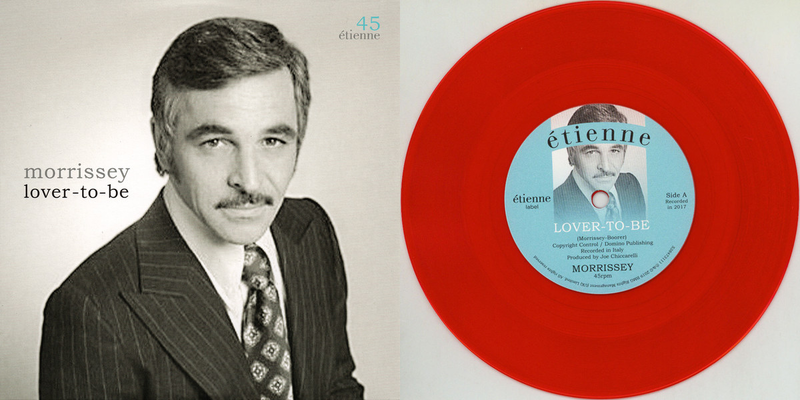 1983: Actor Earnest Graves died at age 64. His many soap roles included being the original actor to play Victor Lord on One Life to Live and Dr. David Stewart in As the World Turns. His longest daytime stint was playing The Guiding Light's Alex Bowden. 1984: On Days of our Lives, Larry Welch (Andrew Masset) received the shock of his life when he lifted "Hope's" veil during their wedding ceremony and found Howie Hoffstedder (Stanley Brock). 1984: Phil Morris debuted as Tyrone Jackson in The Young and the Restless. Elsewhere in the episode, Nikki (Melody Thomas Scott) tried to convince Cora (Dorothy McGuire) to visit Victor. Jack (Terry Lester) and Ashley (Eileen Davidson) argued over whether to tell John (Jerry Douglas) he was never divorced from Dina. 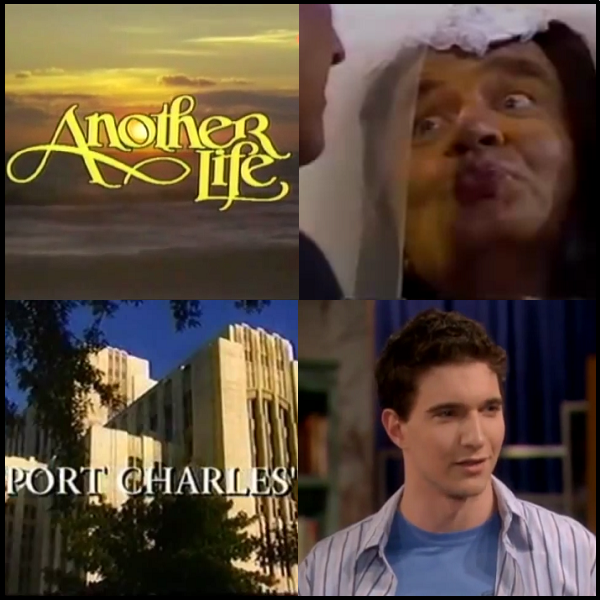 1997: General Hospital spinoff Port Charles premiered on ABC in a two-hour primetime special. 1994: All My Children star Frances Heflin, who played Mona from the very beginning of the series, died at age 73. 2001: On All My Children, while Alex, Anna, and Robin talked at Wildwind, Ilene, the assassin, listened from the foyer. When she stumbled and made a noise, Anna and Robin ducked behind the sofa while Alex put Ilene into an arm lock against the door. Alex demanded to know who she was and what she was doing there. Ilene said she was going to shoot a documentary on Gillian and was supposed to meet her there to scout locations. Anna and Robin headed to the stables where Anna asked Robin about her life in Paris and Robin told Anna she should come back to Paris with her. Anna responded to Robin's offer saying she would love to go with her but refused. Anna told Robin she had to leave now for her own safety, and she would come to Robin when it was safe. Robin was visibly upset, abd Anna hugted her and apologized. Robin told her mother she's HIV positive. 2004: On The Young and the Restless, Victor (Eric Braeden) was at the rec center when Lorena Davis arrived with a group of foster kids to help him clean up the place. Trent and Richard liked the idea and start to work, but Devon (Bryton James, in his first episode on the show) did not. Later, Victor was pleased when Devon started pitching in. 2007: Jake Silbermann debuted on As the World Turns as Noah Mayer.